The Citizens Commission on Human Rights (CCHR), a mental health watchdog that has investigated school and other mass shootings since the Columbine High School Shooting in 1999, warns about pouring hundreds of millions of dollars into more mental health services in response to the Marjory Stoneman Douglas High School shooting on Valentine’s Day. An investigation into the shooting must include what psychotropic drugs the alleged shooter, Nikolas Cruz, has been prescribed and the fact that he had apparently undergone “behavioral health” treatment which did nothing to prevent the murderous outcome. A 2016 Florida Department of Children and Family Services report indicated that he was regularly taking “medication” for Attention Deficit Hyperactivity Disorder (ADHD); these types of psychotropic drugs are known to have violence and suicide as potential side effects. CCHR International’s investigation into school violence reveals that at least 36 school shootings and/or school-related acts of violence have been committed by those taking or withdrawing from psychiatric drugs resulting in 172 wounded and 80 killed. At least 27 international drug regulatory agency warnings have been issued on psychiatric drugs being linked to mania, violence, hostility, aggression, psychosis, and homicidal ideation (thoughts or fantasies of homicide that can be planned). Cruz, 19, charged over the Parkland, Florida shooting, is a prime example of the failure of the mental health system. Expecting better mental health treatment to solve these problems is a forlorn hope, since it promises something that has not and cannot be delivered. Pouring more funds into a mental health system that keeps failing and continues to use “treatments” that may induce violent and suicidal behavior in a percentage of those taking them, is a recipe for future disaster. Recognize that the repeated violence caused by psychiatric drugging of school children is neither happenstance nor coincidence, and is in fact an enemy action, and the enemy is psychiatry. The survivors of the Parkland shooting, the families of those killed and the community at large deserves answers and accountability. CCHR is calling on families with knowledge of a loved one who has experienced treatment abuse and for whistleblowers who have concerns about any behavioral facility to contact CCHR by reporting the abuse here. For more information read this news release. A study published 8 October 2017 by three psychologists and a neuroscientist surveyed 3,715 members of American Mensa (persons whose IQ score is ostensibly within the upper 2% of the general population), who were asked to self-report diagnosed and/or suspected mood and anxiety disorders, attention deficit hyperactivity disorder, and autism spectrum disorder. There was no actual control group; instead they manipulated statistical data to simulate a control group. The basic flawed assumption of this piece of poo-poo is their statement that, “those with a high intellectual capacity (hyper brain) possess overexcitabilities in various domains that may predispose them to certain psychological disorders.” The implication being that a “treatment” for psychological disorders might be something that lowers a person’s IQ. Then they quoted 160 references in order to overwhelm any readers of the study with its bona fides — it must be right because look how many references can be quoted. Naturally, due to the inherent flakiness of the research, they concluded that further research was needed; and because of the particular methodology of this study, the results conveniently cannot be compared with any other studies about intelligence and health. The authors also recommended further studies with mice instead of people, as if those results could yield any useful information about human intelligence. There are a number of limitations which cast doubt on the study results. The raw data was self-reported, so it is subject to interpretation, bad memory and bias. There are over 200 different IQ tests which applicants can use to apply for membership in Mensa, so IQ itself is subject to interpretation. All of the participants were American, which may or may not be a limitation depending on other demographic or environmental factors. The simulated control group statistics made exact comparisons challenging, to say the least. Without an actual, clear-cut definition of intelligence, this kind of research is hopelessly convoluted and clueless; but nevertheless representative of what many psychologists think about the rest of us intelligent beings. Evidence that electroshock lowers IQ is certainly available. Also, psychiatrists have notoriously and falsely “diagnosed” the creative mind as a “mental disorder,” invalidating an artist’s abilities as “neurosis.” There is certainly evidence that marijuana lowers IQ (no flames from the 420 crowd, please) — and marijuana is currently being promoted by the psychiatric industry to treat so-called PTSD. Psychotropic drugs may also be implicated in the reduction of IQ; what do you think? These side effects from various psychotropic drugs sure sound like they could influence the results when someone takes an IQ test while on these drugs: agitation, depression, hallucinations, irritability, insomnia, mania, mood changes, suicidal thoughts, confusion, forgetfulness, difficulty thinking, hyperactivity, poor concentration, tiredness, disorientation, sluggishness. If you Google “Can IQ change?” you’ll find about 265 million results; so this topic has its conflicting opinions. And as in any subject where there are so many conflicting opinions, there is a lot of false information. 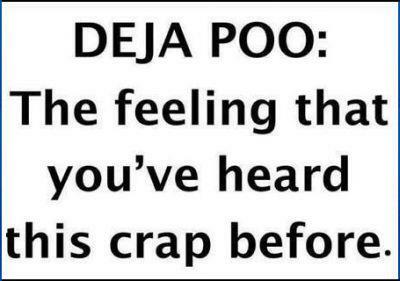 Unfortunately the “research” cited above just adds more poo-poo to the pile. According to PDMP proponents, because some people abuse prescription drugs, the government should track all people who use them – regardless of whether a person has committed any crime. We call this “inspection before the fact of any wrongdoing,” or “pre-crime,” the tendency in criminal justice systems to focus on crimes not yet committed. In this year’s Missouri legislative session House Bill 1922 was introduced by Rep. Jay Barnes (R, 60), called “Prescription Abuse Registry”. Fortunately the bill was referred to the Health Insurance Committee with no further action. Individuals 18 years and older who have been reported to the Department of Health and Senior Services by a health care provider or their parent or child that they believe such individual has abused controlled substances would be listed in the registry. So far, Missouri is the only state without a PDMP. Wait, that’s not all. Senate Bill 768 was introduced by Sen. Rob Schaaf (R, 34), called the “Prescription Drug Monitoring Act”. According to this bill, the Department of Health and Senior Services would be required to establish and maintain a program to monitor the prescribing and dispensing of all Schedule II through Schedule IV controlled substances by all licensed professionals who prescribe or dispense these substances in Missouri to anyone aged 18 or older. This bill was heard by the Transportation, Infrastructure and Public Safety Committee with no further action. Not to be deterred by defeat in the Missouri legislature, the St. Louis County Council passed its own version of a PDMP in March 2016, saying that it is too easy for people to become addicted to prescription drugs. And the City of St. Louis passed its own PDMP version in May. While we certainly wish no citizen to suffer from the very real and harmful effects of drug addiction, we also recognize that when the government interferes with an individual’s self determinism, even a self-destructive self determinism, we are sliding down the slope to Big Brother knows all, tells all, and controls all. We much prefer the route of education and rehabilitation, where we beef up society’s efforts to handle drug problems with appropriate education and effective rehabilitation; not to mention curbing the abuse of psychiatric drugs and concomitant psychiatric fraud and abuse. When psychiatrists or doctors prescribe dangerous, potentially life-threatening and addictive psychotropic drugs to children and adults, they should be charged with reckless endangerment because these drugs are documented to cause side effects including, but not limited to, suicide, mania, violence, heart problems, stroke, diabetes, death and sudden death. 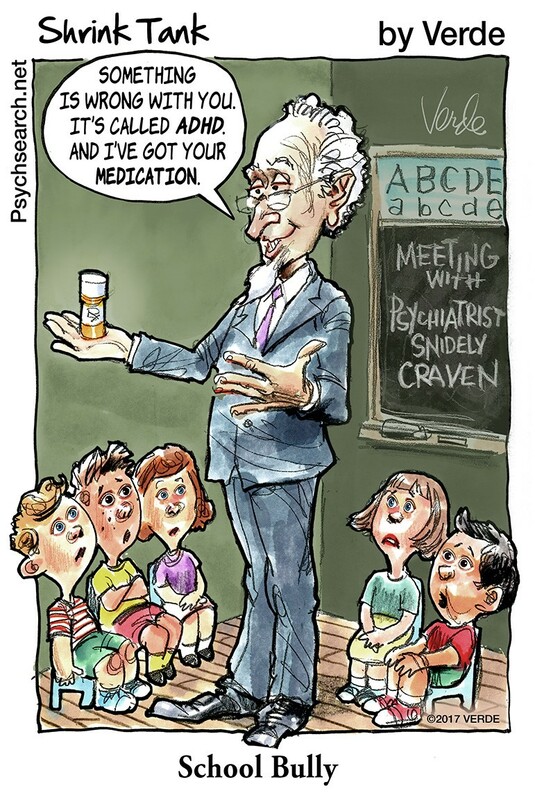 For example, most of the ADHD literature prepared for public consumption does not address the abuse potential or actual abuse of methylphenidate (Ritalin.) Instead, methylphenidate is routinely portrayed as a benign, mild substance that is not associated with abuse or serious side effects. In reality, however, there is an abundance of scientific literature which indicates that methylphenidate shares the same abuse potential as other Schedule II stimulants. Regarding PDMP then, why not just correct the literature, instead of counting how many times a Ritalin prescription is filled? This would be a more productive way to address Ritalin abuse. Start by educating yourself, your family, your legislators, your associates and acquaintances, about the dangers and abuse potential of psychiatric drugs. On July 10, 2015, the U.S. Food and Drug Administration approved Rexulti (brexpiprazole, an atypical antipsychotic) tablets to treat adults with so-called schizophrenia and as an add-on treatment to an antidepressant medication to treat adults with so-called major depressive disorder. We are now starting to see the TV ads for this. Rexulti is manufactured by Tokyo-based Otsuka Pharmaceutical Company Ltd. and its partner Lundbeck. It might be marketed as a replacement for Abilify (aripiprazole), although clinical trials for its usage to treat ADHD were discontinued, likely due to lack of efficacy. It is still a new drug that has not been tested over a long-term in a real-world population. Rexulti and other such drugs have a Boxed Warning alerting health care professionals about an increased risk of death associated with the off-label use of these drugs to treat behavioral problems in older people with dementia-related psychosis. The Boxed Warning also alerts health care professionals and patients to an increased risk of suicidal thinking and behavior in children, adolescents, and young adults taking antidepressants. It has the same pattern of debilitating side effects as any other antidepressant or antipsychotic, including addiction and suicidal thoughts and actions. The most common side effects reported by participants taking Rexulti in clinical trials included weight gain and an inner sense of restlessness (akathisia), such as feeling the need to move. Rexulti is being touted as producing less akathisia, restlessness, and insomnia than other drugs, but it is important to be skeptical of this marketing due to the fact that clinical trials reported all of these side effects. Like all antipsychotics, Rexulti will likely have severe withdrawal symptoms. While the way Rexulti works is completely unknown, it affects serotonin, dopamine, and norepinephrine neurotransmitters in the brain; and this effect is called a “serotonin-dopamine activity modulator”. Messing with neurotransmitters in the brain without really understanding how they work is serious business; we don’t recommend it. In any case, we can guarantee that this chemical-in-the-brain-based hypothesis is bogus. Full Informed Consent should be your watchword. Rexulti was studied in two 6-week clinical trials of 1,054 patients aged 18-65. The patients selected for the studies took another antidepressant for at least 8 weeks. Twenty patients discontinued participation due to adverse reactions. The incidences of akathisia and restlessness, and some other side effects, increased with increases in dose. We must recognize that the real problem is that psychiatrists and other medical practitioners fraudulently diagnose life’s problems as an “illness” and stigmatize unwanted behavior as “diseases.” Psychiatry’s stigmatizing labels, programs and treatments are harmful junk science; their diagnoses of “mental disorders” are a hoax – unscientific, fraudulent and harmful. Taking such damaging drugs as Rexulti prevents people from finding out what is really wrong and fixing that. CCHR believes that everyone has the right to full informed consent. FIND OUT! FIGHT BACK! CCHR has been exposing the link between psychiatric drugs and violence for decades. Today, CCHR joined ranks with the likes of CNN, The Washington Post, The Boston Globe, The Independent, and hundreds of news outlets in reporting that “The War on Drugs” has taken on a literal twist, with ISIS fighters being fueled by a stimulant drug known as Captagon – a pharmaceutical cousin of the ADHD drug, Adderall.